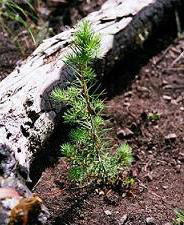 We offer a living, lasting and affordable alternative to funeral flowers and sympathy arrangements...we plant trees as memorials in National Forests. We can plant any number of trees in memory of loved one, or we can set up a Custom Grove so friends and family can contribute to a larger memorial. All tree dedications include info about the tree location, maps, photos of the baby trees and even driving directions for those who want to visit after the trees are planted. Our trees are a memorial tribute that lives and grows for years to come, restoring areas destroyed by wildfire. Trees for a Change is a local florist in Santa Rosa, California who can help you fulfill your personalized funeral and sympathy flower needs at Funerals360.